3D printing technology continues to impact many different vertical sectors of industry. The key advantages of the technology are revolutionizing work flows and supply chains across high-end industries such as aerospace, automotive, healthcare (medical and dental), architecture, industrial equipment, and consumer products. 3D printers are being utilised by educational institutions and makers in growing numbers too — both of which feed into the continued industrial use. FELIXprinters produces a series of 3D printers that cater to all of these markets for engineering, product development, and research applications. Clients are also starting to embrace end-use production applications with FELIXprinters, which is testament to their robust nature, reliability, and accurate output. Reduce product development lead times significantly, from months to weeks or even days. Produce fast, economical concept models. Allow teams to test form, fit and function of products and parts. Allow teams to iterate faster and more often to achieve the highest quality end part. 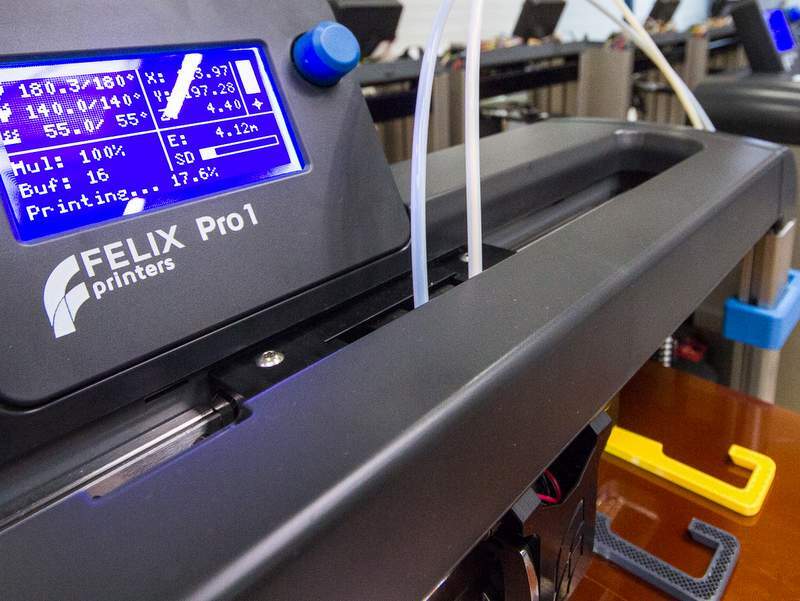 The economics of FELIXprinters ensure that designers and engineers can produce concept and functional prototypes at a fraction of the cost of out-sourcing prototyping requirements. There are a number of reasons why FELIXprinters is unique in the 3D printing industry, and which explain how we have cemented our reputation in the field of engineering. Since 2011, we have not just supplied 3D printers that are ideally suited to help design and engineering teams produce quick and accurate prototypes, but we also supply tailor-made solutions for specific projects and applications. The FELIX Pro Series offers engineering teams a complete 3D printing business solution that due to our engineering prowess can be customised to your specific requirements. This sets us apart from typical 3D printer suppliers. We also work as a strategic partner in terms of service and support once machines are installed. 3D printing is a highly cost-effective production method for small series parts, with extremely competitive cost per pert for low volumes runs when compared with traditional production methods. Just-in-time manufacturing which can reduce stock piles, as parts and components can be produced to order, thus reduce supply chain costs and financing issues. The production of complex geometries, which means that complex assemblies consisting of multiple pieces can be consolidated into one part. When used in production settings, you need more than a 3D printer. At FELIXprinters we have the ability to supply our best-in-class Pro Series 3D printers for manufacturing applications, and also tailor-made machines for specific applications. So customers choose FELIXprinters for high-end 3D printers, exceptional customer care, and customised machine capabilities. We are your strategic 3D printing partner at all stages of your manufacturing projects. Reduction of development time by directly testing research solutions. Verification of results before investing in expensive untested solutions. Customized tools will increase the efficiency in any research. Improvements in efficiency by testing hypotheses and printing tools in production-grade plastics. Creation of prototypes allow validation of feasibility. Allows for the develop and printing of customized tools to assist in research. No valuable information needs to be shared with 3rd parties. There are a number of reasons why FELIXprinters is unique in the 3D printing industry, and which explain how we have cemented our reputation in the research environment. Since 2011, we have not just supplied 3D printers that are ideally suited to help research teams test solutions before high CAPEX investment, but we also supply tailor-made solutions for specific projects and applications.